Everyone is in need of a delightful pet to keep them company. Even the most social of folks have a need to return home, put their feet up to relax after a long day with friends and co-workers, and then feel the love and companionship of a simple-minded creature. Now, we understand that the care and maintenance of another living creature can sometimes be a pretty daunting task. You have to remember to feed them, to give them water, to take them out for some exercise, and cleaning up after their natural biological systems can also be a rather grotesque endeavor. Still, the rewards for fostering such a companion are well worth it! But, for those of you who still aren’t entirely sure, we have an option that will give you the happy ally without having to worry about all of the responsibility of handling a living critter. We, of course, solve that by giving you an undead one! This Skeleton Bird is the perfect such buddy. 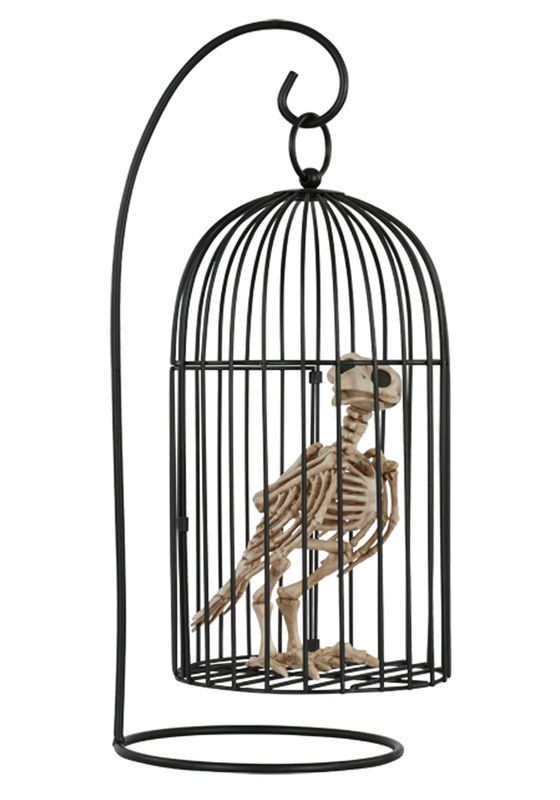 It comes with its own 18” cage and happily stands inside, looking at you through its cold, eyeless skull, pondering silently its love for you. 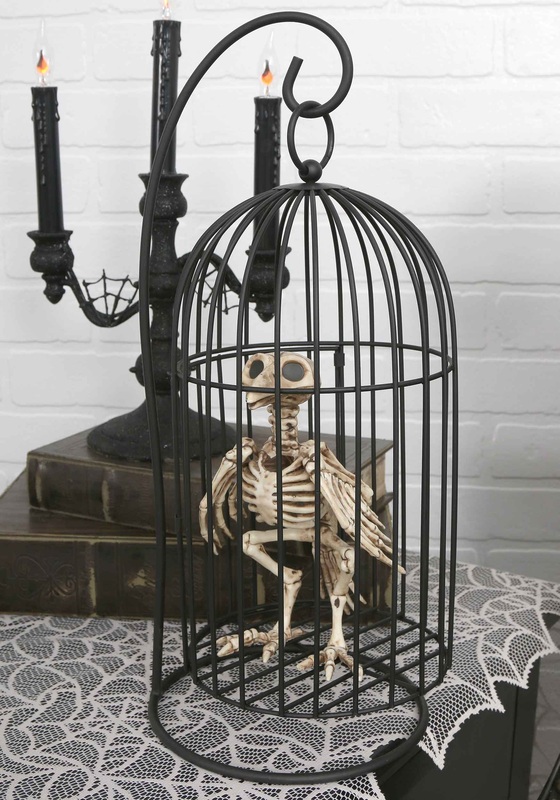 Now, we haven’t gotten it to teaching it to quote “Nevermore” yet like another creepy unliving raven… but maybe that is for the best. Let’s begin with the standard haunted ally and see how that fits!